She loves you, yeh, yeh, yeh. She loves you, yeh, yeh, yeh, yeh. Well, I saw her yesterday. She said she loves you, and you know that can’t be bad. She loves you, and you know you should be glad. She said you hurt her so, she almost lost her mind. But now she says she knows, you’re not the hurting kind. 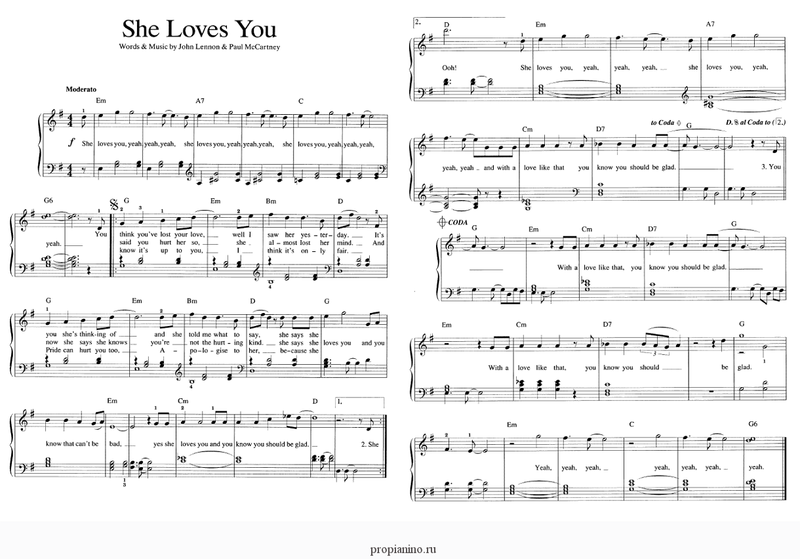 She loves you yeh, yeh, yeh. You know it’s up to you, I think it’s only fair. Pride can hurt you too, apologize to her.